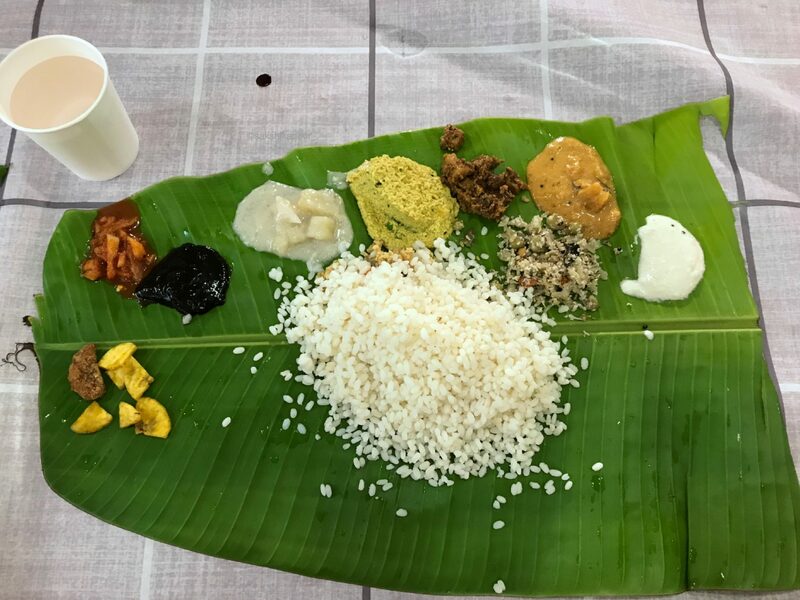 I first started contributing to Kitchenpostcards some two years ago and each year on Vishu and Onam, I have shared some Kerala Sadhya recipes that I included in my repertoire over the years. Onam and Vishu are happy occasions but this year the mood is sombre and one can only urge more and more people to do their bit to the rebuilding of Kerala. If you have been following the news, any news, you would know that the Indian state of Kerala is going through the worst natural calamity in over a century. With an excess of 42.17 % rainfall received over two and half months of monsoon season, Kerala has been hit by the worst floods since the year 1924. As I write this a few days before Onam, the state is still reeling under the devastation caused by floods. Even though the rainfall has stopped or reduced and water is receding, the task ahead for Kerala’s people is that of rebuilding and restoration. My first ever trip to Kerala happened around last Christmas when we visited areas near Kochi for a wedding in the family. We drove straight to the temple town of Guruvayoor at dusk and as soon as the day broke and I could see dense trees lining the roads. The place was so green that I felt it was indeed God’s own country. 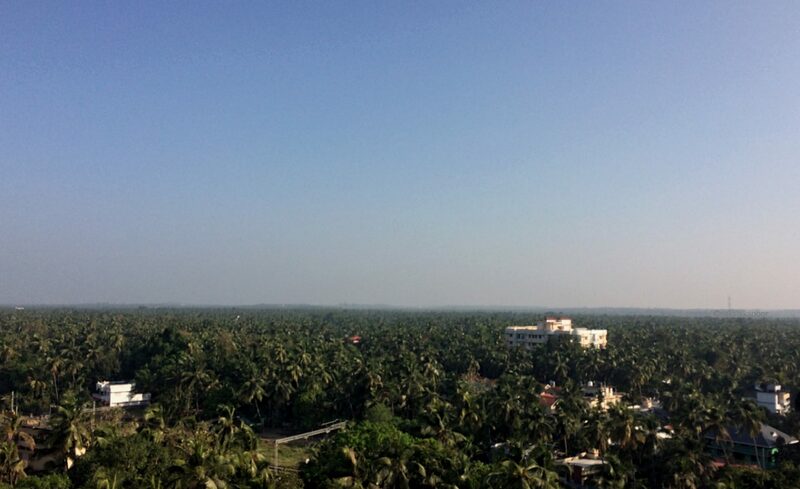 A quick run to the roof of the hotel revealed endless green coconut trees meeting the blue skies at the horizon. Wandering the roads of nearby bazaars and residential areas, I learnt that we were actually in a village. And if you are an Indian, you have a certain idea about what a village looks like. These places looked nothing like a village. In fact, since most districts in Kerala are agricultural and residential, they are called Rurban. You can find beautiful houses built by locals. The roads were dotted with temples, churches and mosques and almost everyone seemed to be revelling in Christmas processions and festivities. A short drive to Pullur revealed to me what living in Kerala actually means. 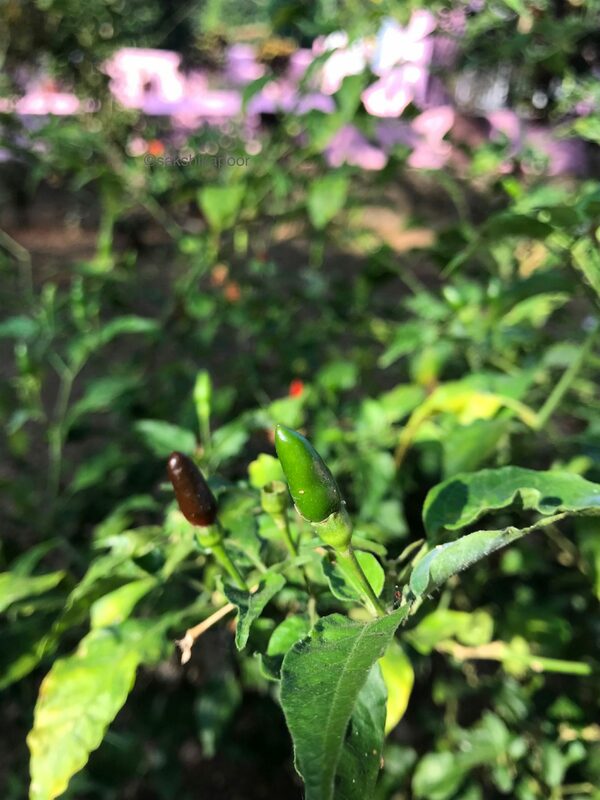 Almost everyone has scores of fruit and vegetable trees in their yard that flourish in the region’s fertile soil. 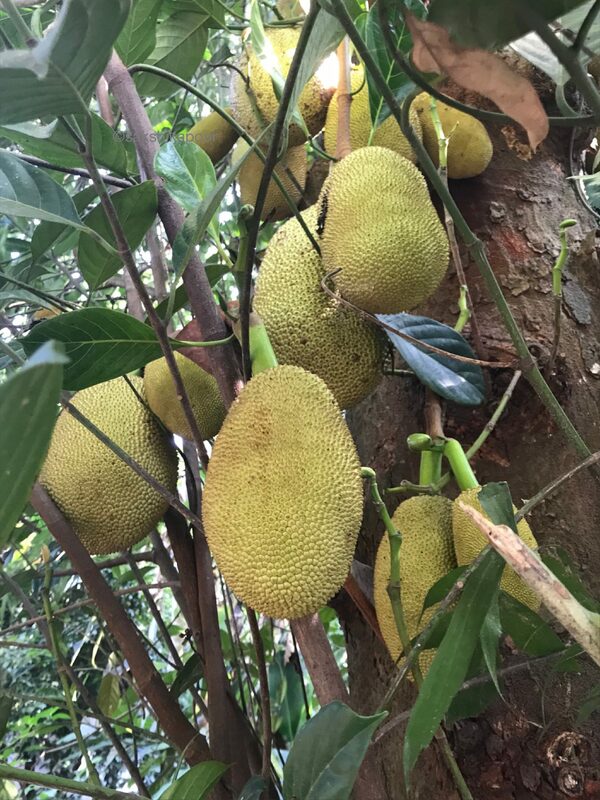 I saw trees of jackfruits, tamarind, papayas, coconuts, bananas and bushes flush with green chillies. 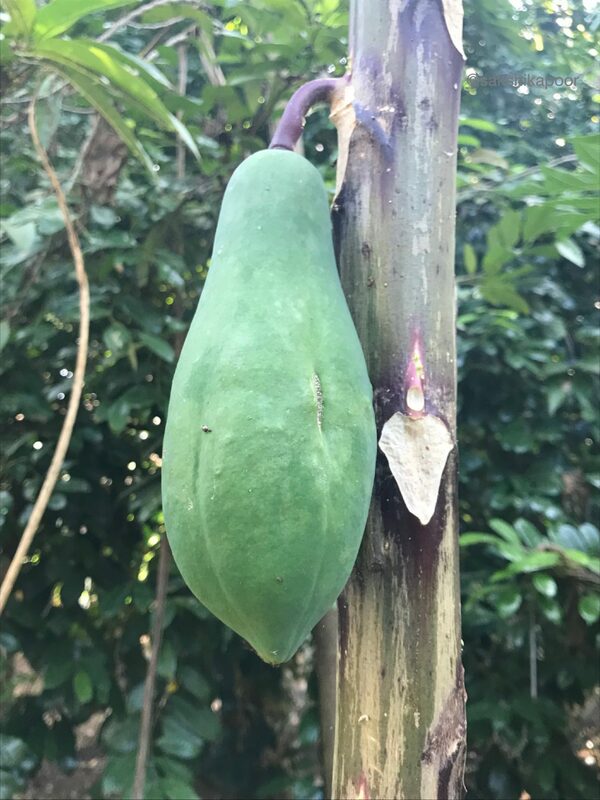 There were even some local fruits that I came across for the first time. 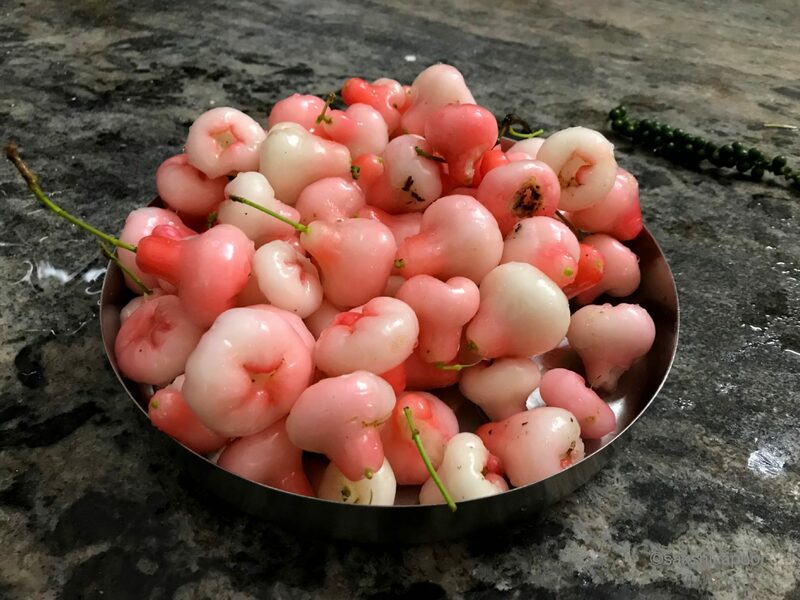 The prettiest and tastiest amongst these was Chambakya or Rose apple. 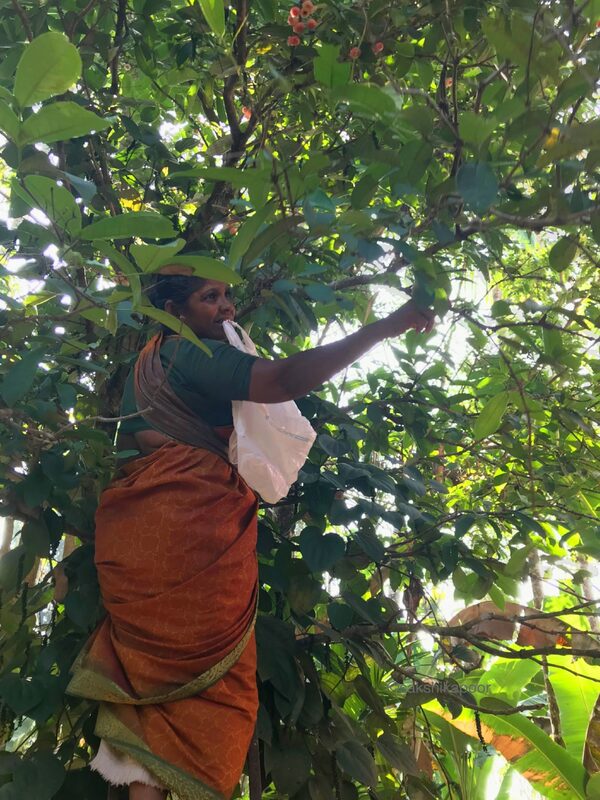 Rosie, our helper who is a local, happily brought in a ladder to pluck the fruit for us. 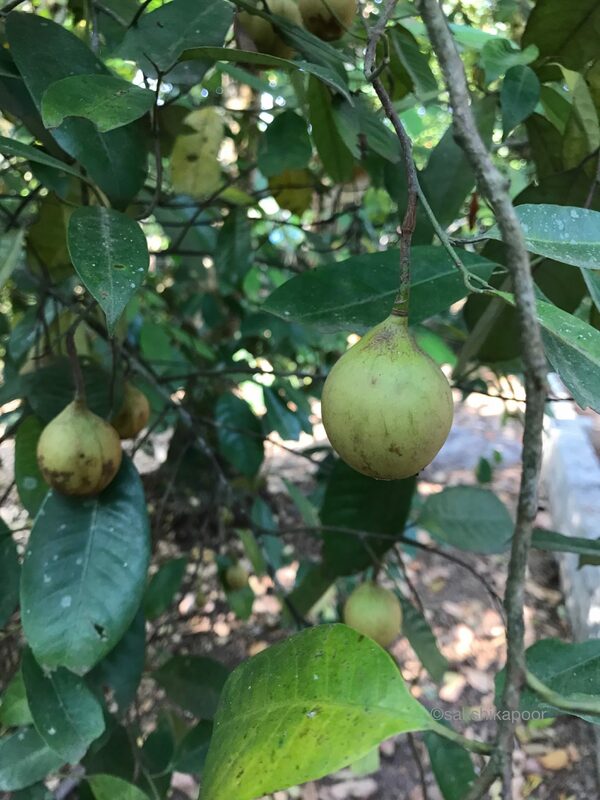 Another one was a small woody tree that produced a tart fruit called Irambampuli/ Irumbu Puli that reminded me of Kamrakh or Carambula/ Star fruit. 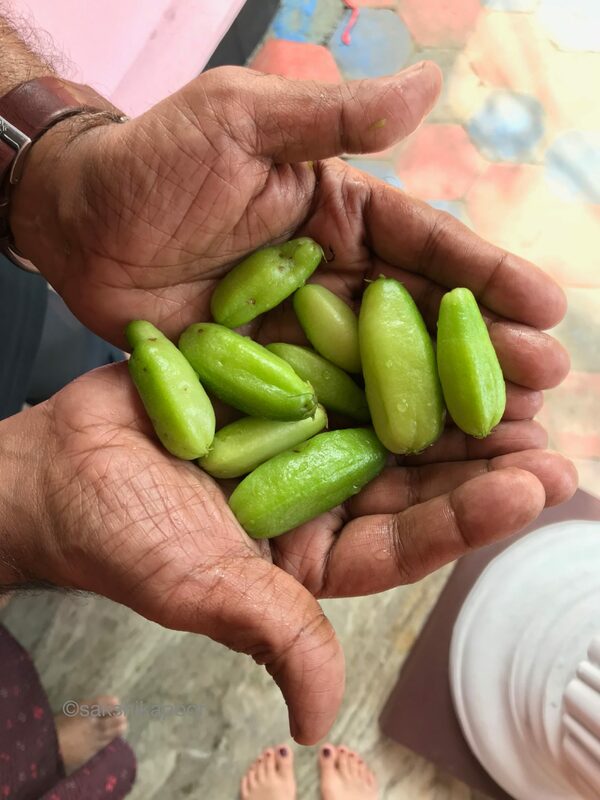 I found out that it is a popular fruit in South east Asia and central America that is also called Bilimbi or Mimbro. 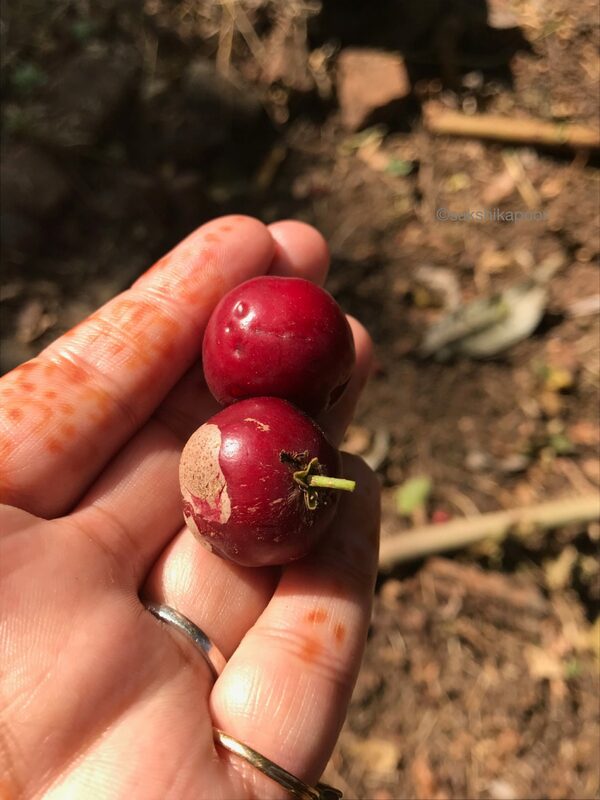 There was also a red Amla (Gooseberry) like fruit that I learnt was called Nellikaya. All these had some use or the other in local dishes. 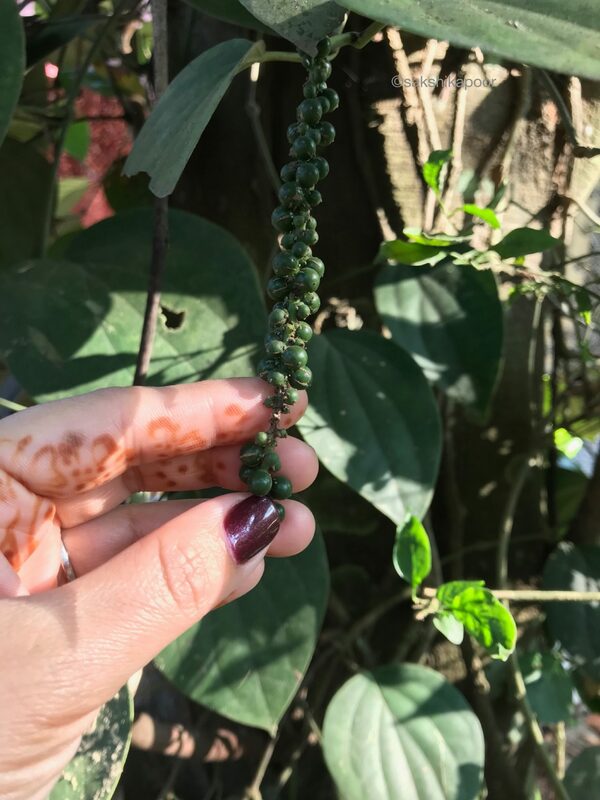 If discovering these local fruits wasn’t exciting enough, I stumbled upon numerous spices growing in our garden in Pullur. 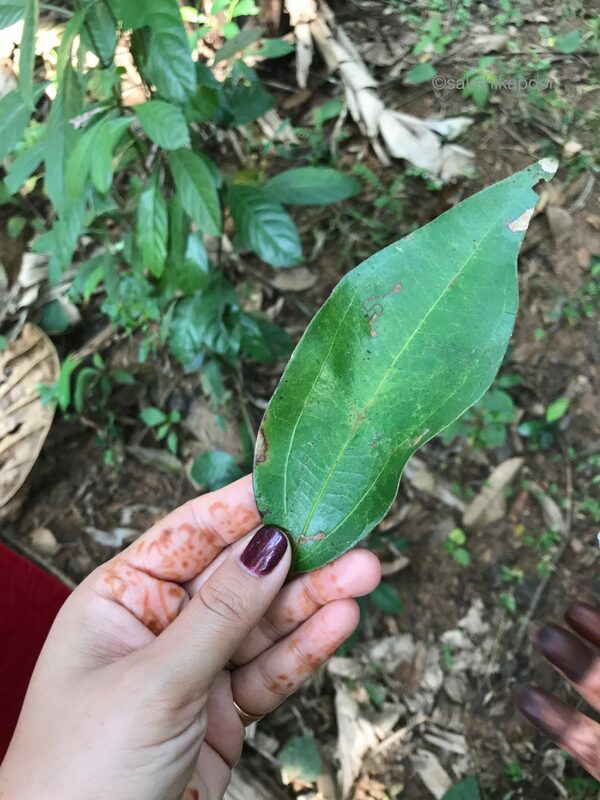 There were black pepper, nutmeg, a bay leaf tree growing in the wild as the garden was completely untamed. My husband’s uncle and aunt, who live in Pullur were kind enough to clear their schedule and take me to a nearby touristy destination. 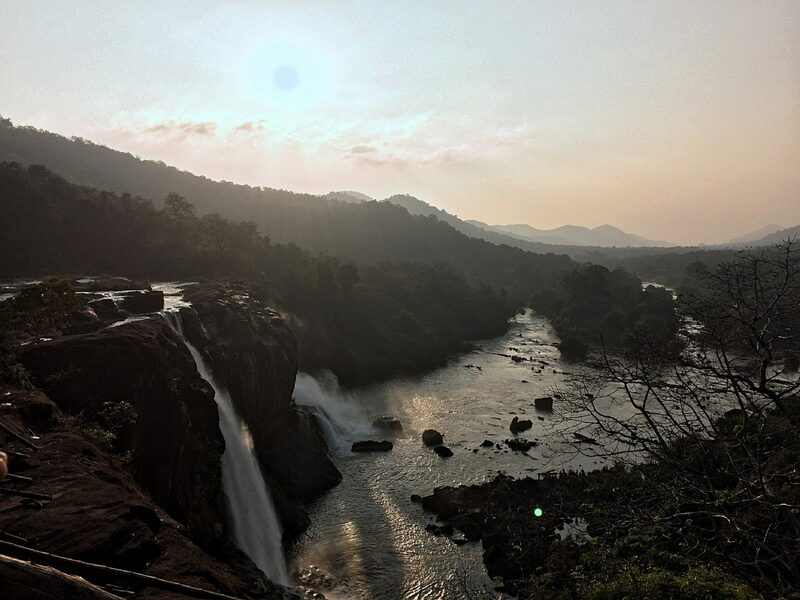 A trip to the hilly banks of Chalakudy river revealed the Athirappilly Falls. There I witnessed one of the most beautiful sunsets I had seen in a while. 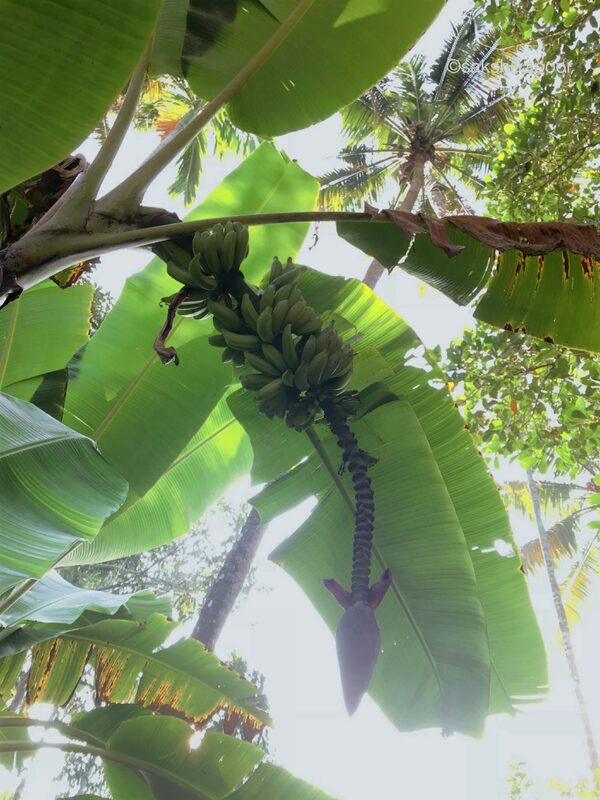 On the way uphill we found Palm trees and Banana plantations and even some monkeys. I tried to keep an eye to spot a Hornbill that is the state bird of Kerala but wasn’t lucky. My trip to Kerala strengthened my belief in it’s beautiful people that I meet in the UAE every day. It was heartening to see people from different religions living together peacefully. Everyday one hears positive stories of people helping each other in the wake of this disaster. Even though Pullur was relatively unaffected by the floods, I wish that the rest of the state recovers soon and regains it’s natural glory. While you may think of Onam as the festival where you ask your Keralite friend for an invite for a delicious Sadhya lunch, this Onam is a time to contribute to the relief efforts in Kerala in any small way you can. Your city may have fundraisers, direct donation drives or NGOs working directly towards the relief work. If you are unable to find a suitable or trusted NGO, you could help out the state government directly in various ways through their website keralarescue.in . The fishermen of Kerala have been the real heroes who have so far rescued thousands of people stranded in flood waters. As ample supplies have poured in through different channels, the need of the hour is combating disease, rehabilitating people and rebuilding the state. You can do your bit by donating to the Kerala Chief minister’s fund online or even better, volunteer. Let’s make this Onam happier for Kerala and it’s beautiful people. Very well written. Hope to see this beautiful state back to its original glory. Malyalis are known to be hardworking and industrious people and that should definitely help to rebuild this state. Wishing everyone a very happy Onam!